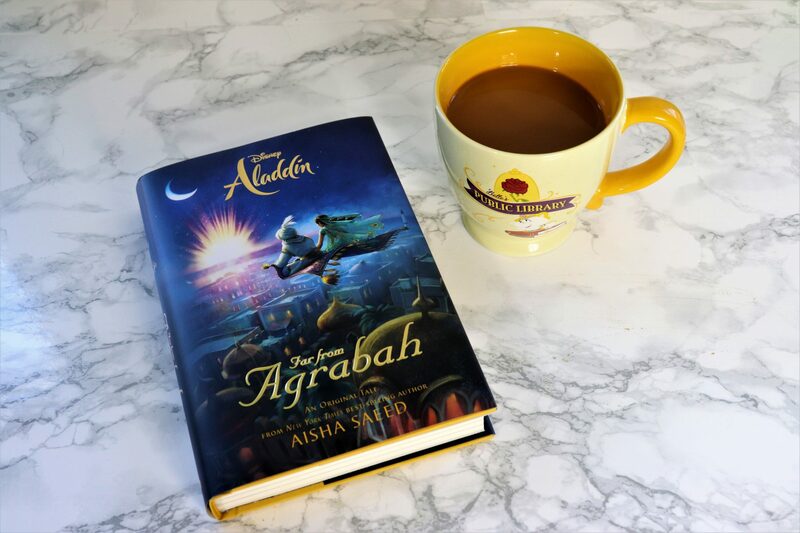 You are here: Home / Books / Book review: Aladdin: Far from Agrabah + giveaway! 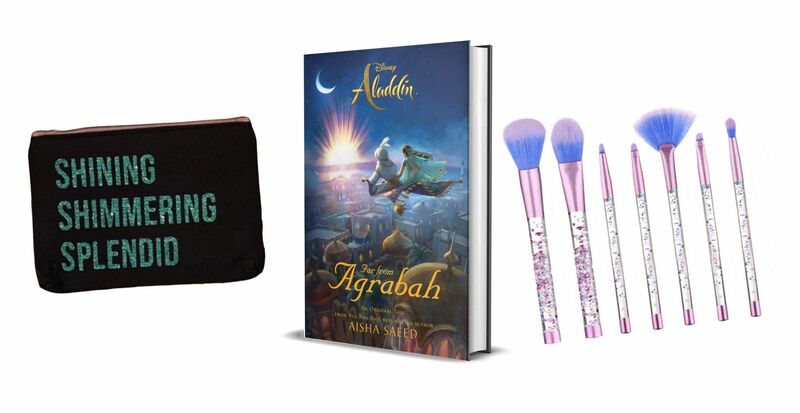 Thank you to the Disney Book Group for partnering with me for a giveaway! I like to consider myself pretty lucky given the time period when I grew up. As a kid in the 90’s I got to experience some of the best Disney films of all time! Beauty and the Beast, The Lion King, and Aladdin were films we watched over and over again. And soon we’ll get to experience Aladdin in a whole new way when the live action film comes out! I personally am excited to see this new movie from the previews. It looks both exciting and funny, it has the wonderful music we know and love, and Jasmine’s outfits have me swooning. I know I have to wait until May for this movie, but in the meantime I’m able to get my Aladdin fix from a new book that just came out! As a children’s librarian I was familiar with Aisha Saeed’s work, particularly with the novel Amal Unbound. 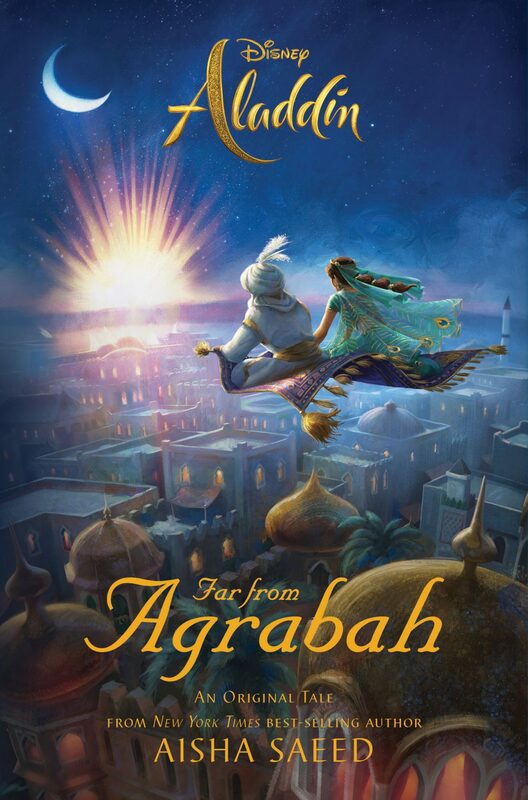 That’s been a popular one, so I’m definitely excited to add Far from Agrabah to our library collection as well! a glittery cosmetics case and set of makeup brushes. All you have to do to enter the giveaway is fill out the rafflecopter form below! 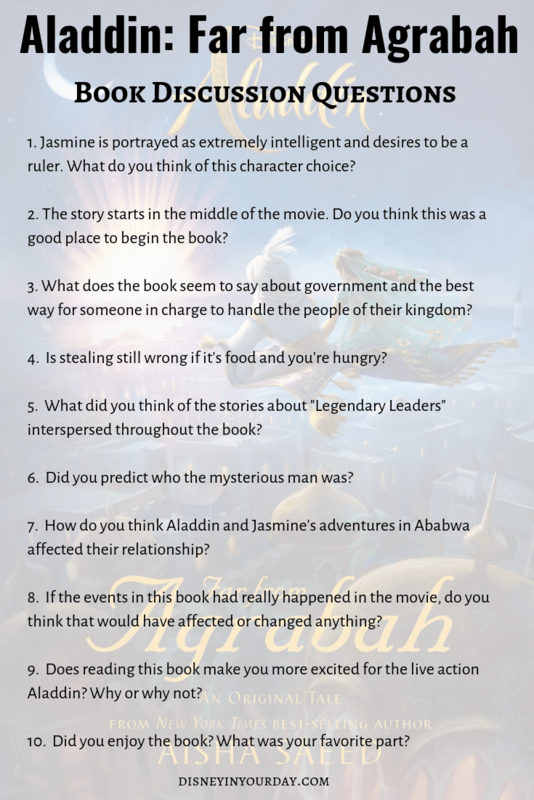 Are you interested in reading Aladdin: Far from Agrabah?